Caséta Wireless dimmers and switches install in minutes, work with numerous bulb types – including dimmable LEDs and CFLs, and bring the convenience of a connected home to your fingertips. 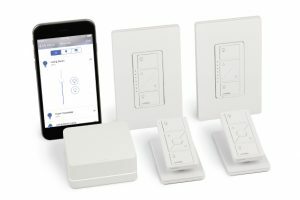 The Lutron Smart Bridge with HomeKit support enables control of lights, shades, and temperature from inside the home or away using the FREE Lutron app. The Smart Bridge is compatible with Caséta™ Wireless dimmers and switches, Sivoia QS Triathlon® battery-powered shades and various Wi-Fi thermostats. The bridge is easy to install, simply plug the device into a Wi-Fi router. 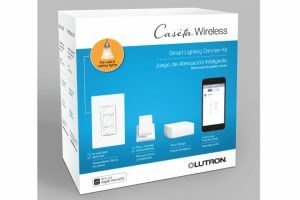 Caséta Wireless Dimmers and Smart Bridge use Lutron’s patented radio frequency (RF) Clear Connect Wireless technology, so dimmers won’t be affected by other wireless products. This also makes it easy to work around corners and through walls. The wireless Pico remote control has a 10 year battery life as well. The Pico remote control also provides an easy 3-way installation. The remote can be mounted on any surface, without cutting holes. 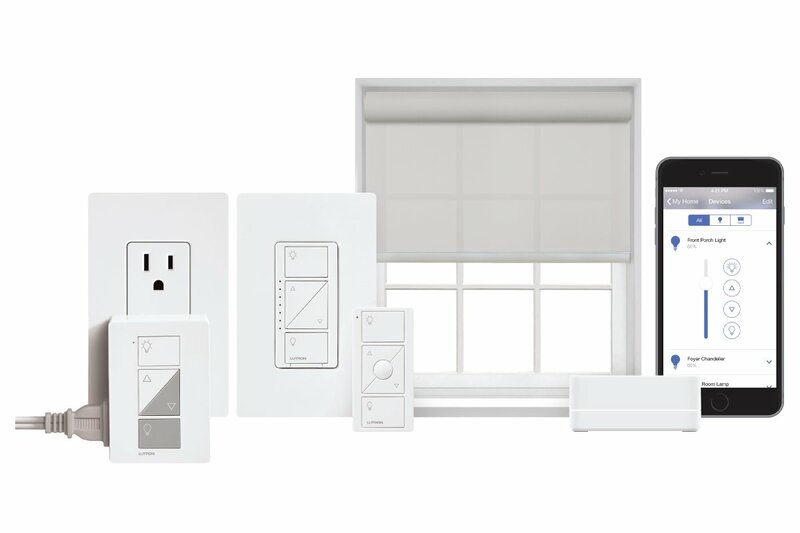 From the free Lutron app, the Smart Bridge with HomeKit support not only allows for Siri integration but also gives homeowners the ability to schedule lights, shades, temperature, and now audio to automatically adjust at set times of day.